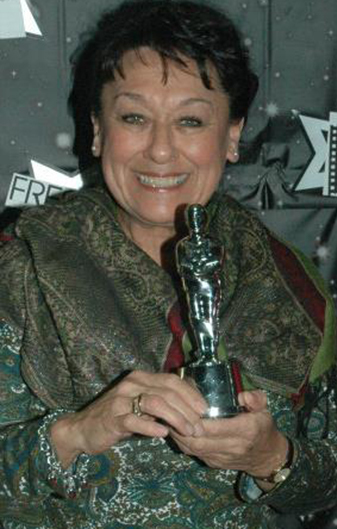 Our October 2013 volunteer of the month, Linda Hernandez, enjoys her night at the Oscars with Filmworks every year. Occupation: Linda is currently retired, and she enjoys being a community volunteer. Filmworks thanks all of our October 2013 volunteers: Lorna Bonyhadi, Benjamin Boone (discussant), Karin Carlson, Nené Casares, Mike Dana (discussant), Fae Giffen, Karen Hammer, Linda Hernandez, Caroline Jackson, Carl Johnsen, Kathryn Johnsen, Steve Malm, Sarah Nixon, Shlomo Pleban, Gene Richards, Zoe Smurr, Sky Sweet, Colby Tibbet (intern), Lorraine Tomerlin, Jon Veinberg.